Few cars raise a true car lovers blood pressure like a red Ferrar and this 488 GTB is no exception. This car is a true exotic, but it is still capable of being used daily if desired. The owner of this vehicle wanted to use it, but not have to stress every drive that it would get damaged. So, how do you protect the vehicle's paint without compromising the beauty? 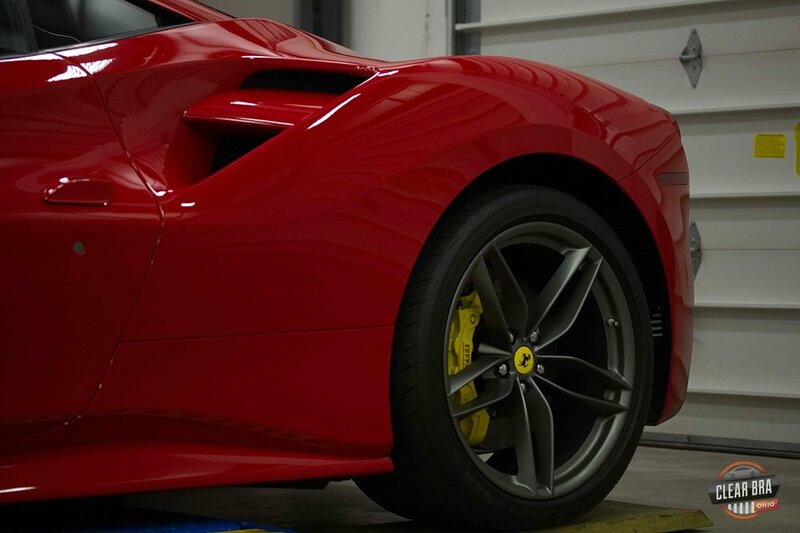 Check out the video below to see a summary of the work we did on this Ferrari. So, how do we protect the vehicle's paint without compromising the beauty? 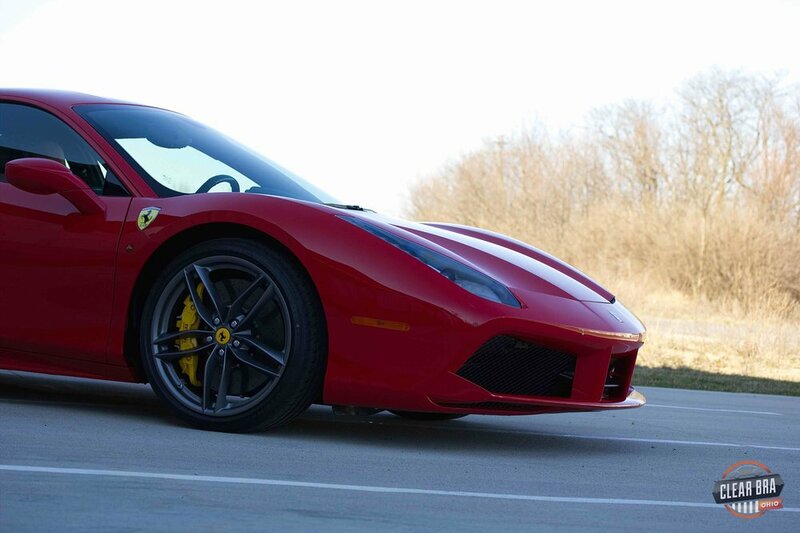 Whether it is a Ferrari like this or a daily driven Honda, Clear Bra Ohio uses a premium paint protection film called Suntek Ultra that is maintains factory gloss and clarity. We combine that film with our signature installation techniques that cover complete panels when possible and hides seams and edges so that the product virtually disappears on the car. 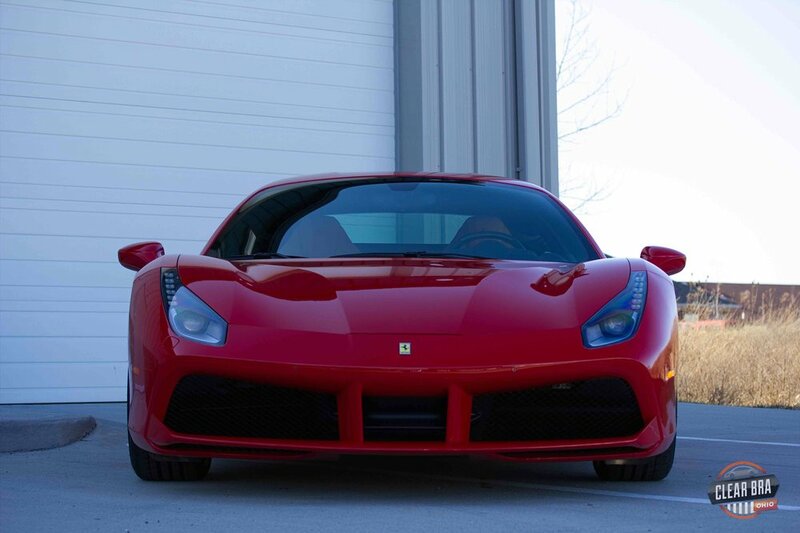 Take a look at some additional pictures of this Italian Red Beauty when we had it at the shop. A vehicle is the #2 largest investment you will make in your life behind a home. Doesn't it make sense to take steps to protect and preserve it? You can have that protection without taking away from the looks of your pride and joy by visiting Clear Bra Ohio today. You can reach us by calling (513) 580-8365. We would be happy to answer any questions you might have or schedule an appointment. Find out why Clear Bra Ohio is the #1 provider of paint protection film and paint coatings in Ohio.